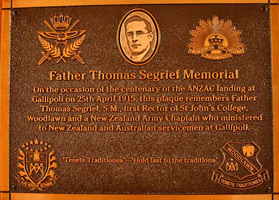 In this Anzac centenary year the founding rector of St John's College, Woodlawn, NSW, Fr Thomas Segrief SM, has been honoured by the installation of a memorial plaque at the college recalling his Gallipoli service. Both hold key administrative positions at the international HQ. Fr Tony has commenced a third three-year term as secretary-general and Fr Paul is into his second year as bursar-general. Sunday Mass at Monteverde is attended by local and visiting sisters as well as other community members and visiting Marists. 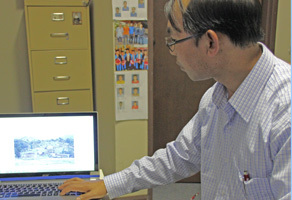 From left: Muriel Valles, Eik Sai, James Brangnu, Seng Naw Mai and George Myo Zaw Mya, all members of the Marist-sponsored Bridge Program of 2013. Below: In their signature BP shirts. Five former members of Marist Training Resources' 'Bridge Program', have graduated with a Diploma of Liberal Arts from Australian Catholic University. ACU's award-winning online tertiary program on the Thai-Burma border was established with Marist Mission Centre help in 2004. Since then scores of young Burmese have benefited from the project. 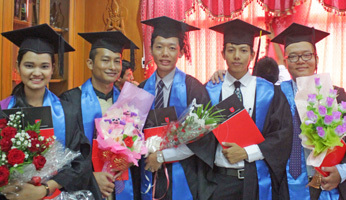 Amongst this year's graduates at the Maesot, Thailand, ceremony on May 23 were five BP-ers from the 2013 Bridge Program. 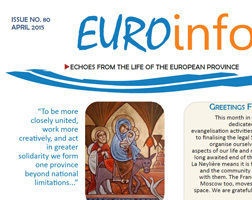 'Since our coming together as the community of Misioneros Maristas Bolivia some 25 years ago, we have been accustomed to follow the tradition of ‘’preserving the memories’’ and to celebrate those significant and grace-filled moments in our journey together' For full text: Click here. 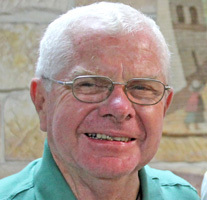 Veteran Pacific missionary and Bougainville crisis chronicler, Fr Kevin Kerley SM, 86, is now ensconced at 'Horton House' in the comfortable precincts of the Congregational Community Church retirement facility, D'Aram St, Hunters Hill. 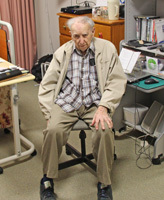 Returning to Villa Maria monastery twice weekly, 'KK', as he is affectionately known, continues to sort his voluminous, hand-written records, much of which is destined for Pacific research libraries in Canberra. In Jan 2014 the Gympie-born Marist was awarded the OAM for 'service to the international community through humanitarian roles in Papua-New Guinea'. 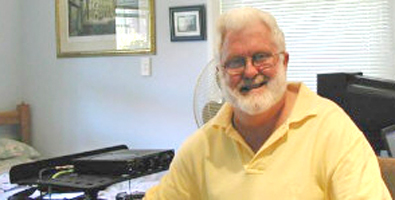 See Australia Day honour for Fr Kevin Kerley. 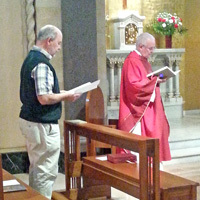 Also: Fr Kevin assists media research and Investiture of Fr Kevin OAM. 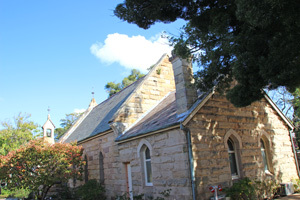 Patrick Aung Tu, a Burmese Kachin consultant on Internally Displaced Persons in Myanmar, visited Sydney on the weekend of May 15-17 staying with the Villa Maria Marist community and connecting with local Kachin groups. 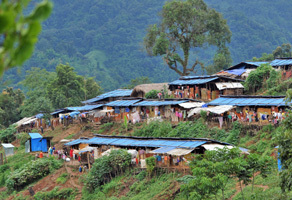 As part of Myitkyina Catholic diocese's CHAD agency (Community Healthcare and Development), Patrick's work takes him to the most remote parts of Kachin State in Burma's far north, and into the many camps housing over 90,000 IDPs. As one of a group of 12 Burmese he is in Australia for three weeks attending the Burnett Foundation's Melbourne program 'Strengthening Civil Society Leaders in Myanmar'. 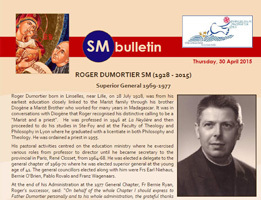 From Australian Catholic Religious Against Trafficking in Humans Sr Noelene Simmons SM reports that the latest ACRATH news is now available. 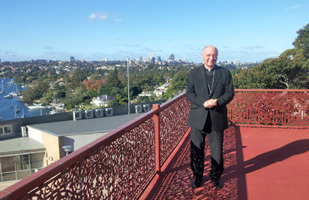 Celebrating 45 years since priestly ordination, Lismore's Bishop Geoffrey Jarrett, visited Hunters Hill and Woolwich on May 14. 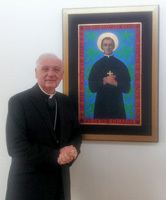 Bishop Jarrett took the opportuity to call on some of his former seminary teachers, recalling his four years spent at St Peter Chanel's Scholasticate, Toongabbie, NSW.. 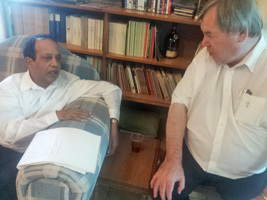 The Australian Province leadership team met with Brisbane-based Marists on Aug 12. 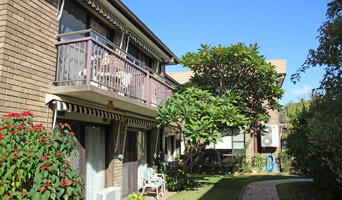 Gathering with local Marists at the new community of Rosalie (see April news) the Provincial Community completed several days in Queensland following their annual review and planning meeting at Currumbin. 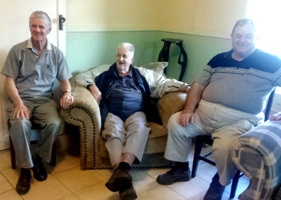 Above, standing, from left: Fr Chris Ketsore, Br Charlie Randle, Frs John Begg, Gerry Hall, Kevin Stewart and Jack Soulsby. 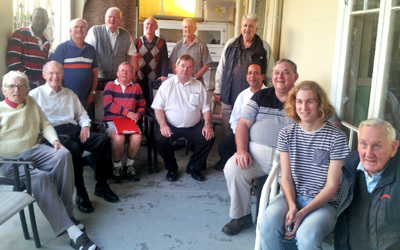 Seated: Frs Aidan Carvill, Jim Hargrave, Peter McMurrich, John Gillen, Michael Rego and Bob Barber, Hayden Kennedy, Fr Lou Molloy. 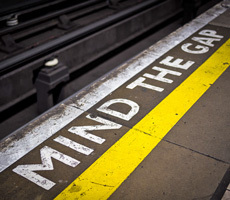 Below: Frs Kevin Stewart, Jack Soulsby, Bob Barber / Frs John Worthington, Jim Hargrave, Aidan Carvill, Lou Molloy | Fr John Begg | Frs Michael Rego and John Gillen. Golden jubilarians, from left, Frs Harry Moore, Peter Carde (NZ), Tom Ryan and Michael O’Connor (Fiji) / The Ryan brothers, Tom, Paddy and Kevin, with Fr Michael O'Connor (second from right). 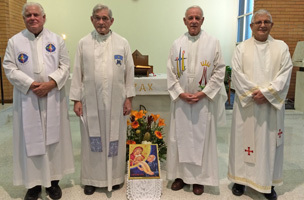 'We celebrated our Jubilee Mass at St Joan of Arc church, Herston, Thursday May 7th with Brisbane Marists, family, friends and neighbouring Presentation Sisters. 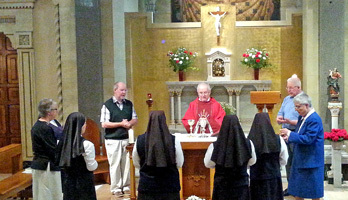 Fr Kevin Bates on supermatket wages as well as prices.